The Premier League has always been blessed with gifted foreigners, but there is a charm about the Spaniards that has enticed fans for years. The world has always been in love with Spanish skills and flavour, but the popularity of Spanish players has increased by leaps and bounds since the emergence of Spain as a dominant force in football. After winning 2 European Championships and the 2010 FIFA World Cup in a space of 4 years, Spain had officially declared herself to the football world. Even though the dominance has waned in the recent years, there has been no dearth of talent arising from the European nation and the current stage of football is spawning with skilful Spaniards who are excelling in almost every area of the pitch. Today, we take a look at the top 5 Spanish Footballers in the Premier League, who have lit up European Football and are indispensable for their club. The Spaniard joined Barcelona when he was eight years old and in 2011, made the move to Arsenal, where he was transformed from an attacking winger to a marauding right-back successfully. He made his debut for the Gunners in the 2013/14 season and broke into the first team in the following season. Since then, Bellerin has been an integral part of the Gunners defence and is also widely considered as one of the best right backs in the world. Last season, Bellerin scored 3 goals and registered 5 assists, which are quite impressive stats for a right back. His speed, trickery on the ball and crossing ability makes him an attacking threat and he can be deadly during counter attacks. 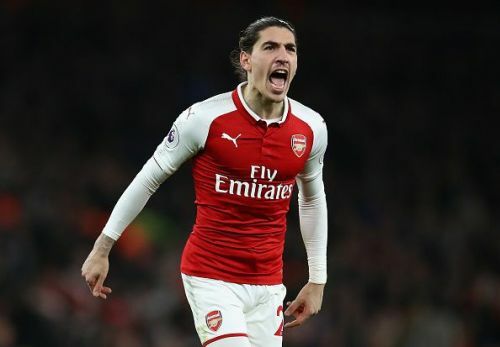 This season, the Spaniard has started in all of Arsenal's games in the Premier League and barring the 2-2 draw at Crystal Palace, has lasted the full 90 minutes in every game. Even though he is yet to find the back of the net, Bellerin already has 4 assists to his name so far. However, Emery has not used him in the Europa League, where he has been on the bench twice, or the EFL Cup, where he has been on the bench once, so far. While he is still just 23 years old, Bellerin will only get better and that in itself is a delightful possibility. As of now, the talented right back in 5th among the top Spaniards in the Premier League.